Another day, another not-so-obvious iOS 9 feature goes under the spotlight. In the paragraphs below, we'll show you how to edit images prior to sending them. No, you don't do that in your device's gallery application. Third-party image editing apps aren't involved in this guide either. Instead, all the action happens in your iPhone or iPad's stock Mail client. 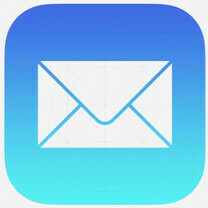 Yup, iOS' pre-loaded Mail app lets you draw on and add text labels to image attachments. You may also save your signature and imprint it onto an image or a scanned document, perhaps. Here's how you do all that. Let's say that you've already started writing a new email and you've attached an image to it. Tap on the image – this will cause a pop-up menu to appear. Choose "Markup". Okay, now you should be in a whole new screen with your image in the middle and a bunch of buttons at the bottom. By default, the brush is highlighted and ready to be used with a color of your choice. At this point, you are free to draw onto the image using your fingers. Note that if you doodle a shape that the app can recognize – a circle, a line, or an arrow, for example – you may have it straightened automatically. Tapping on a drawn object lets you delete it or scale it by dragging one of the blue dots that appear. The second button in the tools panel lets you enlarge a portion of the image, as if it was under a magnifying glass. You may move the magnifying glass by dragging it around. Sliding the blue dot outward makes the magnified area larger. As for the green dot, it determines the zoom level. Again, if you tap on one of these magnifiers, you'll be given the option to delete it. We've come to the third button in the tools menu, which is used to adding text labels. Simply tap on the label to edit it. If you tap on the "aA" symbol that appears, you'll be allowed to change the size and font of the text, as well as its justification. There doesn't seem to be a way of adding a background color, but a clever use of the brush can rectify that. And finally, the fourth button in the tools panel is for adding your signature to the image. This might come in handy if you're sent a scanned document that you need to sign. The cool thing about the signature is that it is saved for future use. So, that's how you edit image attachments in Mail for iOS 9. Do you see yourself using this feature often? Let us know in the comments! It needs to be in messages and notes, not just email. C'mon Apple, copy those S-Pen features correctly now. Yep, if they're gonna implement it, do it across the board, photo album too. It's a neat feature, and a long time coming bro. Samsung and the others will follow. My Note 5 does this in mail, messages photos, and with the s-pen. It also lets me add a pic to a pic. The Notes the ultimate multitasker/utility device bro. LG also let's you write over any screen and save it with QuickMemo, it's not quite as good as Samsung's, and it has no dedicated stylus, but it has served me well on several occasions and has been very useful on my G3. Haha, I upvoted you for the funny joke. But, seriously, I've hardly ever had to restart it. But nice try, I guess. Cnour is a fool ignore that person!! Why give the attention they never had as a kid!! But you need to restart your device 5 times to work in a perfect way!!!!! Not saying you should buy a Note 5, but if you haven't done so, try one out. Samsung did a great job optimizing it, or maybe it's just the huge amount of DDR4 RAM in it. Great divice... You know I'm an iOS guy as well, so I split time between the two. They're both great devices. Quit trolling cnour I bet you own a Walmart prepaid junk!! Enough already!! I bet you go for the free prepaid phones right?? And it's a flip phone, so shut up!! My it guys switched my work iphone from this to outlook and outlook is light years better. How Do the sheep even use this? Or does everyone just download outlook, Gmail, or another App right away in sheep land?